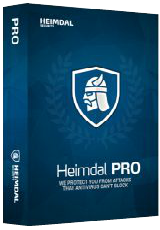 Heimdal PRO ist die perfekte Sicherheitssoftware, kein Antivirus kann hier mithalten! Heimdal PRO 2.2.200 war am 22. Februar 2018! als Giveaway verfügbar! Heimdal PRO ist die perfekte Sicherheitssoftware, die drei Schutzschichten gegen Ransomware, finanzielle Trojaner, datenklauende Malware und andere Bedrohungen beinhaltet. Kein Antivirus kann hier mithalten! Heimdal konzentriert sich auf Internet-Traffic während sich gängige Antivirus-Tools mit lokalen Daten beschäftigen, daher ist Heimdal PRO die perfekte Ergänzung für alle Antivirus-Produkte. Es basiert auf einer starken Datenbank mit Informationen über aktuelle Bedrohungen, die ständig aktualisiert wird. Echtzeit-Traffic-Kontrolle – Schutz vor Zero Hour Bedrohungen, gefährlichen Webseiten und Inhalten sowie Angriffen der Cyberkriminellen. Aufspüren und Blockieren von fortgeschrittenen Malware-Angriffen – stellt sicher, dass keine konfidentiellen Daten an feindliche Server gelangen. Automatisches Silent Patching – eure Sicherheitssoftware ist immer aktuell, über 85% der Angriffe auf Software-Apps werden abgewehrt. 70% Rabatt auf Heimdal Pro! Bitte beachtet: Diese Software beinhaltet eine 6-Monate-Lizenz inklusive kostenlosen technischen Support und Updates. Das Download-Archiv beinhaltet keinen Installer, bitte lest die Readme-Datei für eine genaue Anleitung! Eine Zip-Datei ohne Programm !!!??? Ich korrigiere - es ist Top-Kommentar #4 auf Englisch. Can't find a good reason to install this program. If you are running an adequate security suite with antivirus and firewall, Heimdal just doesn't bring much to the table. A google search produces mostly references to various giveaway sites. None of the various reputable review sites include Heimdal. I'll pass. I'll start off by saying I haven't installed this software simply because I already have suitable protection installed which does a very good job, so can't/won't comment on the software. However, felt I had to put in my 2 cents worth about the number of people complaining about not being able to install. Perhaps, if you took just a couple of minutes to take the time to READ THE INSTRUCTIONS you might actually manage to do it yourself in stead of having someone hold your hand and guide you through what is really a very simple process. As a rule I usually wait a few hours, read the comments left by people that have actually installed and tried the software, then install it myself and form my own opinions and if I feel there is a worthwhile comment to be made I'll post it. Never had any issues installing anything from the GOTD site ...Because I read the instructions. 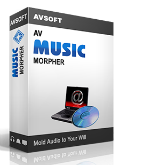 Run the program installer and enter the key to register it." WHERE IS THE RED BUTTON? HOW CAN A RED BUTTON APPEAR IN A .TXT FILE????????? "Installation Unzip the package you've downloaded and go to the page below, press the red button "Get Heimadal Pro for FREE" and enter your email on the next page. Press "Continue to download", download the program installer for the Pro version and copy the registration key. Run the program installer and enter the key to register it." WHERE IS THE RED BUTTON? HOW CAN A RED BUTTON APPEAR IN A .TXT FILE????????? Robert, read slowly the firslt sentence again. Repeat if you didn't get it. Robert, read slowly the firslt sentence again. Repeat if you didn't get it. The unzipped text directs you to go to the registration page. Run the program installer and enter the key to register it. It installed for me without a hitch on Win10. Hope this helped! Took me a moment to figure it out, but here's how: The unzipped text directs you to go to the registration page. Press the red button "Get Heimadal Pro for FREE" and enter your email on the next page. Press "Continue to download", download the program installer for the Pro version and copy the registration key. Run the program installer and enter the key to register it. It installed for me without a hitch on Win10. Hope this helped! What always terrifies me -- and this isn't a terror triggered by solely reading GOTD comments -- is that people who can't / won't/ seem utterly unable to read even the simplest instructions. . . actually getr to vote. Democracyu's fine as far as it goes, but it sure as heck doesn't go very far when there are hundreds, if not thousands, out there who can't even read a flippin' label yet have a role in deciding the governance of a country. GOTD has in my experience always been unambiguous in its readme text, yet time after wearying time comment threads like this are peppered with idiotic queries about install problems. As to this particular giveaway, I once attempted to trial an earlier promotion from this developer and then abandoned it. Why? Too many hoops to go through. The developer is not alone. By contrast, a recent giveaway here by a highly respected developer -- Teorex -- demonstrated just how a giveaway promotion should be run. Sadly, not all developers are of the calibre of Teorex but perhaps they'll up their game when fewer and fewer potential customers walk away because it's all too much bother.